Welcome to Day 15 of 100 Days of Disney here on The Purple Pumpkin Blog! Be sure to check out all of the other posts in this series, and if you would like to share your own Disney blog posts or pictures, make sure you check out the #100DaysOfDisney Link Party! I’m afraid I don’t have any step-by-step photographs for today’s craft, because it wasn’t me that made this, but my hubby! Go him right?! And what did he make? 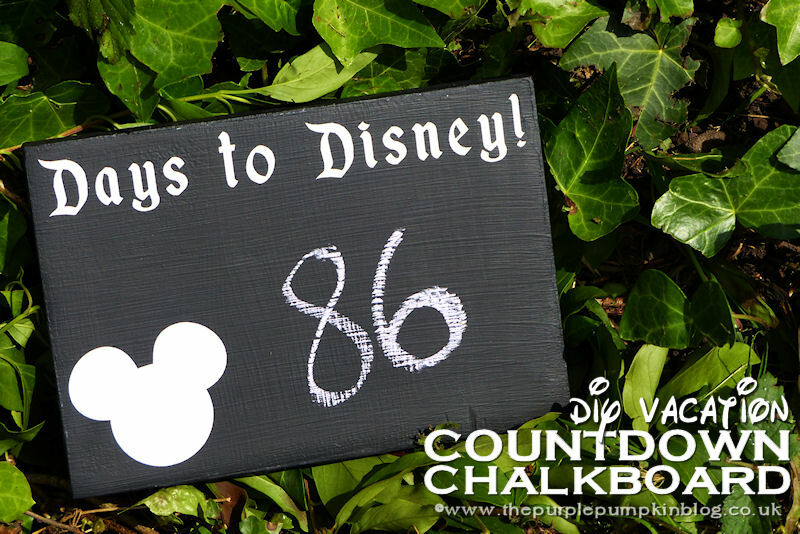 Well, only a DIY Vacation Countdown Chalkboard! He then used vinyl lettering to write “Days to Disney!” at the top, along with a silhouette of Mickey Mouse. At the back are some hooks and string so that it can be hung on the wall like a picture frame. Very easy to make and a great little countdown for our next trip to Florida when we will Dine Around Disney! I hope that you are inspired to make your own vacation countdown! Day 15 of #100DaysOfDisney is done – 85 to go!